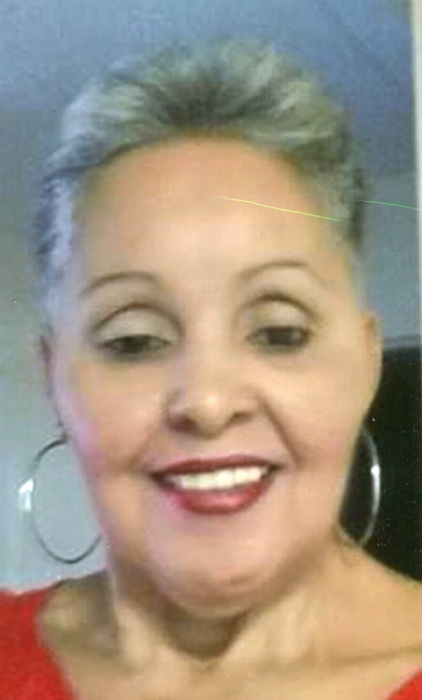 Reinalda (Matos) Robles, 63, of Bristol, passed away Sunday, November 18, 2018 at Bristol Hospital. Reinalda was born in Dorado, PR on January 9, 1955 the daughter of the late Eladio and Juana (Ortiz) Matos. She is survived by three brothers. Angel Matos, Felix Matos and Eladio Matos Jr. and five sisters, Nora Bruno, Eladia Matos, Carmen Hilda Nieves, Catalina Matos and Juana Matos. Several nieces and nephew plus great nieces and nephews. She is pre-deceased by brothers, Pedro Matos, Julio Matos, Fernando Matos, Jesus Matos, Miguelo Matos, and Ramon Matos and sister, Justina Garcia. Friends may call at Dunn Funeral Home 191 West St. Bristol on Saturday from 12 Noon to 2:00 PM.